Thank you so much for reaching out. I have a lot to offer and I do things a little differently than most 'traditional' (i.e. Western) yoga teachers, and I am so happy you found your way here. I can't wait to move, breathe, and connect with you. 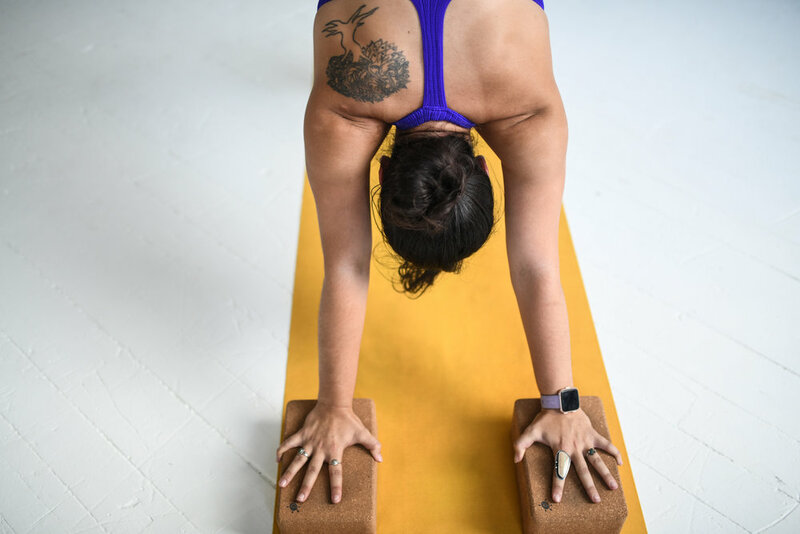 If you're new to yoga, want something structured and tailored specifically to you and your needs, or if you feel safer in a one-on-one setting vs a small-group class, this is the choice for you. *Equity pricing offered, reach out for details. If you have something specific you want to tune into or cultivate, if you want to dive deeper into breath-work or if you think meditation isn't your thing, this offering is for you. These sessions can be offered privately or in small group settings. We can meet in person or via FaceTime/Skype. I periodically hold public small-group offerings at the studio. To be among the first to find out when they're announced, sign up for my email list here. Space is limited and classes are filled on a first-come, first-served basis. Do I need to be flexible to practice yoga or attend your classes? Not at all! If you can breathe, you can do yoga. I strive to make my classes accessible to everyone and will work with you to ensure that your needs are met. I encourage you to bring your own mat, if you have one. I have props and extra mats on hand. It's also a good idea to bring a water bottle and possibly a small towel (especially in summer). Wear something that makes you comfortable and allows you to move freely. I also suggest bringing a sweater, in case you'd like to have it handy at the start or end of class. Once you know which offering is right for you, email me and we can get everything scheduled. What if I want something not listed here? Reach out & let me know your needs and we can create something that works best for you. The best way to get started is to reach out so we can chat about what you need and how we can make that happen.